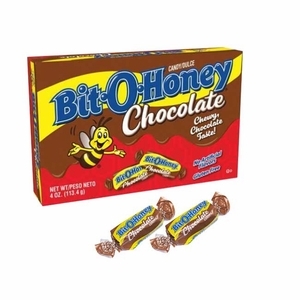 Everyone loves the taste of sweet, gooey honey, and no one does honey better than Bit O Honey! 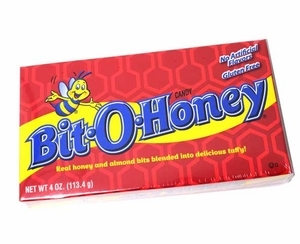 Bit O Honey candy is beloved all over the world for its sweet, delectable taste and irresistibly chewy consistency. 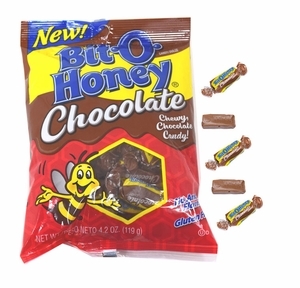 At Blair Candy, we loves this candy just as much as you do, so we make sure to always have a large, fresh stock on hand. 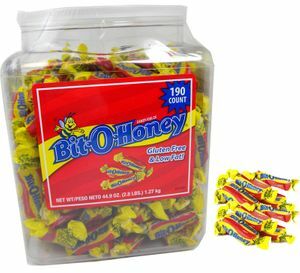 If you like to have a little “bit” with you at work, in a candy dish at home, or in your kids’ lunches, take a look at our Bit O Honey Bite Size buckets. 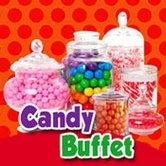 Each bucket contains 190 bite sizes pieces of the candy you know and love. 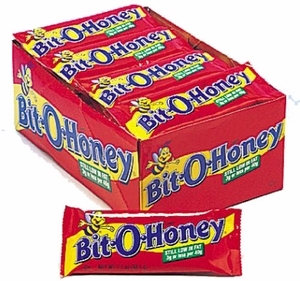 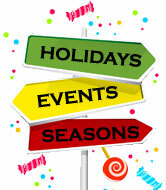 We also carry bulk Bit O Honey for candy sales, fundraisers, or just for fun!